See more objects with the tag recording, tool, rectangular, texture, photography, lens, red plastic, black plastic. See more objects with the color saddlebrown sienna darkolivegreen grey or see all the colors for this object. This is a Camera. 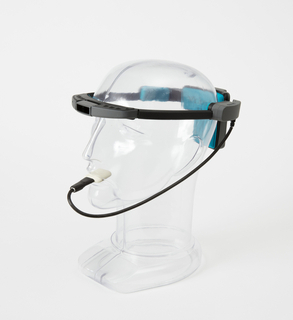 It was designed by Lytro, Inc. and NewDealDesign and engineered by Lytro, Inc. and manufactured by Lytro, Inc.. It is dated 2012 and we acquired it in 2013. Its medium is silicone rubber, ultra-light anodized aluminum, glass, plastic, li-ion internal battery. It is a part of the Product Design and Decorative Arts department. Throughout the history of photography, advances in technology—from daguerreotype to digital photography—have continued to propel the field forward. The Lytro camera represents the first major shift in consumer photography since digital image capture was invented in 1975, and marks a significant turning point in photography’s history by offering users the possibility to think about photographs differently. Innovations in light-field photography enable a photograph taken with a Lytro camera to be refocused innumerable times after the picture is taken—rather than before. The Lytro represents the first time that the sequential steps required to take a photograph, in which the user focuses on the subject and pushes a button to record the image, have changed. To do this, the Lytro camera makes use of light-field photography. Not only do its sensors register the color and light coming through the lens the moment a photograph is recorded, as all digital cameras do, but the Lytro also preserves information about the direction of the light’s source. This results in an image that is dynamic and can be constantly refocused. The refocusing can occur on the device’s touchscreen and on a computer once the image has been uploaded and stored as an .lfp file (the native format for light-field picture files). As of February 2013, images can only be uploaded to Lytro’s website or to an application that accompanies the device. On a computer, a dynamic image can be shared via social media. Once online, users do not need special software to refocus the image; they are able to do so in any web browser. Because light-field technology relies heavily on computation rather than electronics or optics, Lytro is able to release software updates to the camera as the technology evolves. The latest update, as of February 2013, is a feature called “Perspective Shift,” in which the perspective of the image can be slightly adjusted in any direction. Beyond its advances in photographic technology, the Lytro introduces a new archetype in the design of its consumer camera. Designed to be held like a spyglass, the camera’s housing veers from the traditional point-and-shoot camera, typified by the rectangular 1937 Purma Special camera designed by Raymond Loewy, held in the museum’s collection. The pocket-sized Lytro camera has a rectangular prism shape, with two square end faces; one houses the lens and the other, an LCD touchscreen. The touchscreen provides functionality in addition to the recessed shutter release and zoom buttons located on the top of the camera. The user interface of the touchscreen provides allows users to refocus an image, scroll through images stored on the camera, delete images, or upload them via a USB port. Instead of a flash, the Lytro utilizes an image sensor for good detail in low light. A fixed f/2 aperture means the shutter speed and ISO are automatically adjusted for each shot. The Lytro camera is a first-generation product that combines technological innovations in digital photography with a new design that reframes the user’s relationship to photographed images, marking a critical moment in the history of photography. 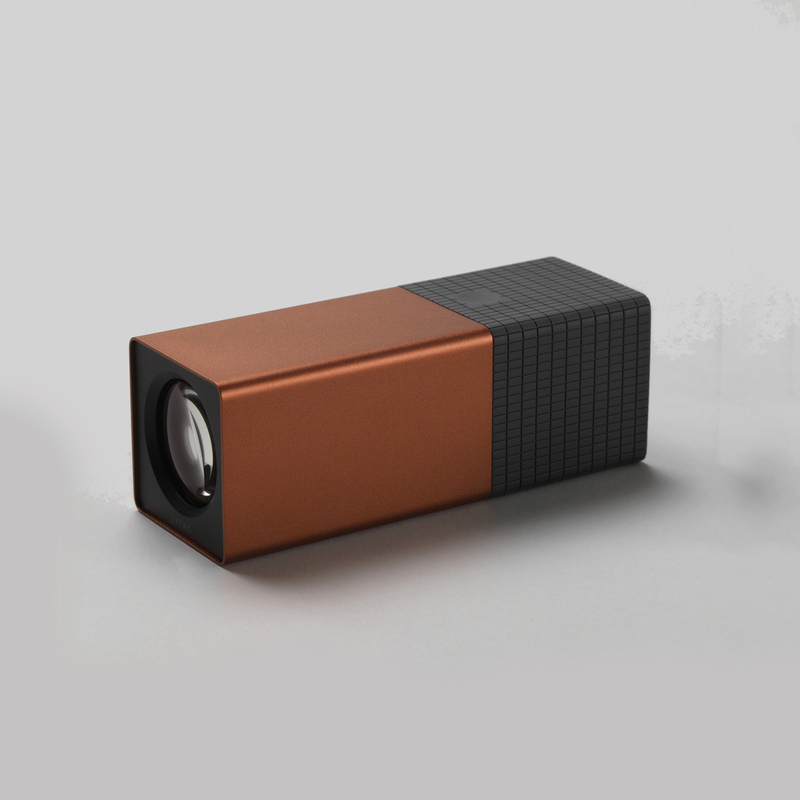 The Lytro camera proposed for acquisition represents a major advancement in photographic technology. Its addition to the museum’s holdings would help to create a design timeline of photographic cameras and would be a welcome addition to the collection’s cutting-edge technology. This object was featured in our Object of the Day series in a post titled Living Images. This object was donated by Lytro, Inc.. It is credited Gift of Lytro, Inc..